Artisans spend their time on improving their techniques, finding new patterns, inventing variations on the things they produce. When you look at them, they are totally immersed in what they are doing. But in Venice, once the home of some among the most magnificent craftspeople in Europe, they are all disappearing. 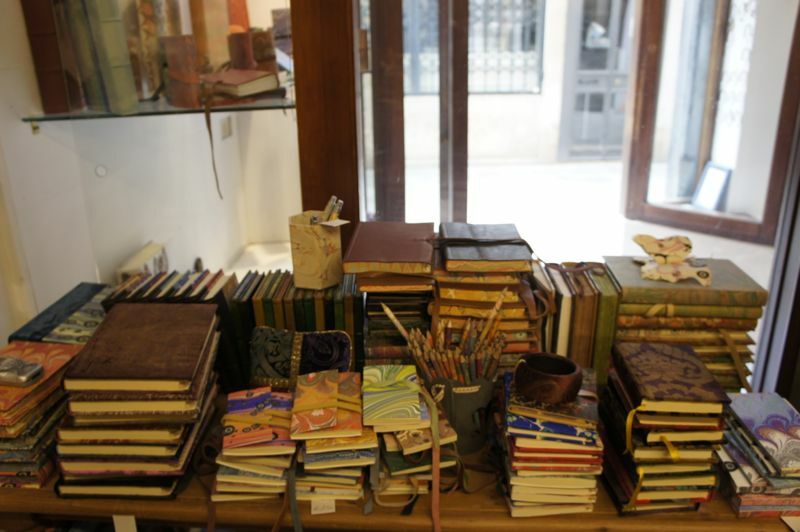 The very high rents for workshops and a crazy bureaucracy are forcing many small shops and especially craftspeople to close down (including one of the most important bookshops, not able to pay any longer 9000 euros a month). 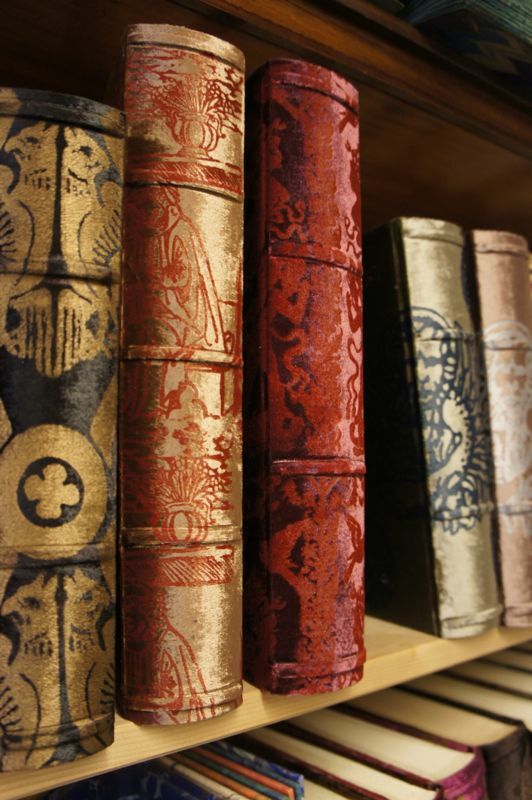 Artisans are notoriously no managers or lawyers, they can’t keep the pace with the constantly changing administrative requests, neither with the very high taxation. Not to talk of the problems of maintaining a workshop in Venice: acqua alta, humidity, water infiltrations, bricks falling apart. Can tourists help these precious activities to survive? Yes, they can. If you visit Venice, please be more selective when you buy souvenirs. It is better to buy some handmade bookmarks for 3 euros each instead of a peace of glass made industrially and of poor quality for 20 euros. It is better to go and discover the small workshops out of the centre, where things are still handmade with passion and dedication, instead of buying the usual industrial stuff in shops that belong to chains. 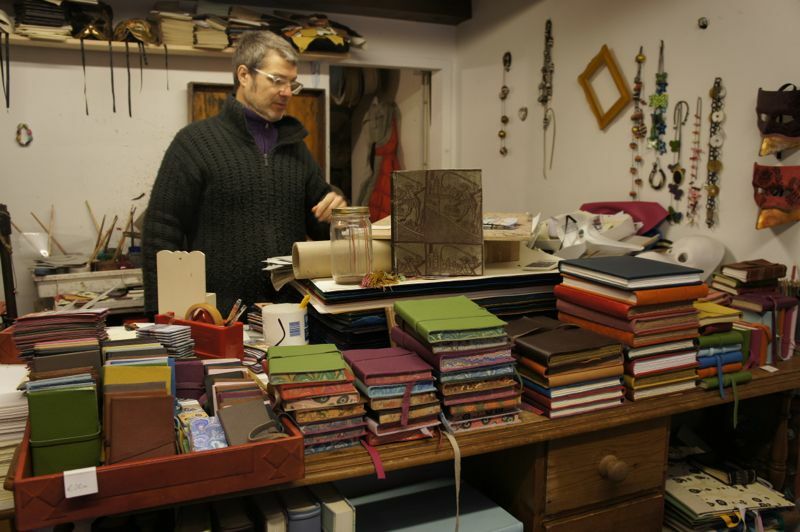 Stefano Casati, who produces hand-printed paper, leather and velvet will close his workshop toward the end of May 2013. The colors he uses are unique; he is rather an artist than an artisan. If you are in Venice don’t miss him! 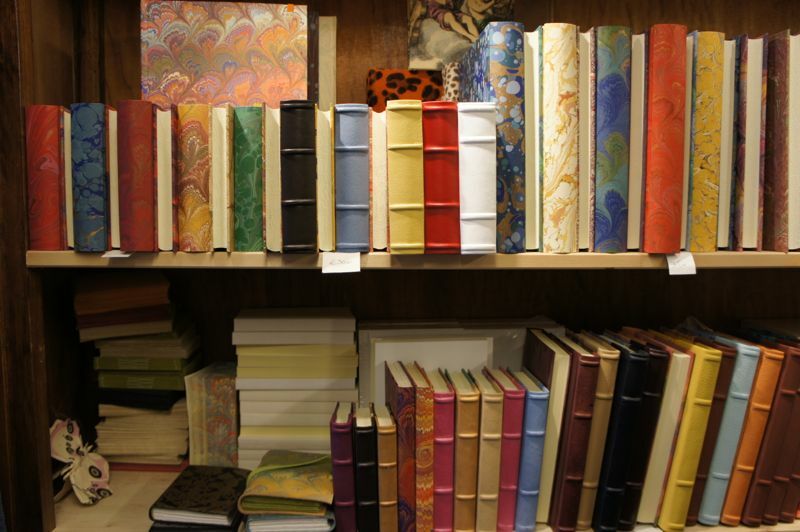 If you have friends in Venice, tell them to go and buy their Christmas presents there. 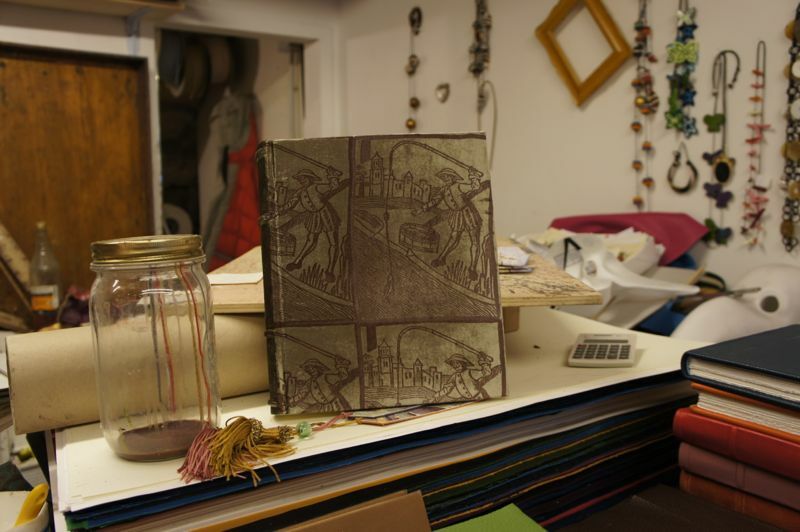 You can find his workshop in Barbaria delle Tole 6676 (close to campo Santi Giovanni e Paolo).